From April 14 to 16, SNU held the 7th Asian Universities Forum (AUF). Initiated in 2011 by Dr. Yeon-Cheon Oh, the previous President of Seoul National University, the AUF was created to promote cooperation among prestigious universities in Asia. Each year, the forum takes place in a different location with this year’s venue at Kathmandu, Nepal. 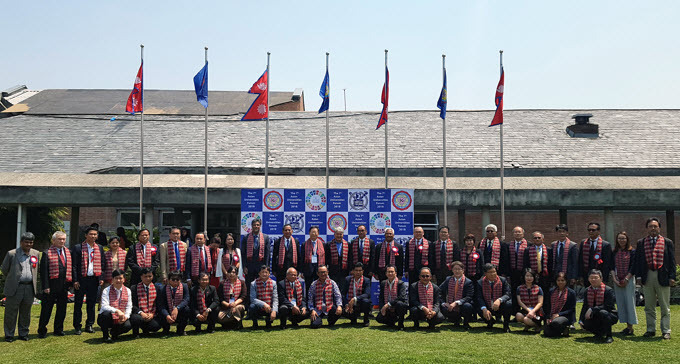 SNU collaborated with the University of Kathmandu to host this year’s event. At the forum, SNU President Sung Nak-in suggested that universities should consider how to implement educational models tailored to particular research interests, and take on global challenges as fields of study. He also emphasized the importance in providing knowledge, innovation and solutions to inequality within and between countries. Finally, the president acknowledged the creation of sustainable cities and local communities as one of the Forum’s major goals. Over 25 universities from 13 Asian countries participated in this year’s forum. As each year the number of participants has grown, the increasing cooperation of these universities provides hope for future education and in achieving the sustainable development goals of the United Nations.